Some types of foods like vegetables can get so dry that they can even catch fire in the dehydrator. But other types of food like meats can get dry to the point of breaking apart and getting way past any condition of consumption. So, when drying any kind of food, you have to depend on your own judgment and observation skills to see if the food is over dehydrated or not. In some of the cases, you can still salvage food that is over dry, but in other cases, there is no option but to throw it away and start with a new batch, but powered with the learnings from the batch that got over dehydrated. In this article, we are going to take a look at various topics associated with over dehydration and what to do when you feel you’ve over dehydrated your food. Is It Possible to Over Dehydrate Food? How to Know Food is Over Dehydrated? What Can You Do if food is Over Dehydrated? How to Avoid Over Dehydration of food? Which Foods are More Prone to Over Dehydration? For some kinds of foods, yes, it is possible to over dehydrate them to the point that these are not edible even after trying to rehydrate them. Any kind of food if exposed to heat for a long time will start to change its composition and it will not be suitable for any purpose. Here are a few ways in which people often end up over dehydrating their food. Drying the food at a temperature that’s not recommended in its recipe can often lead to over dehydration. You might think you need to dry the food at a higher temperature than usual because of external weather conditions, but it can often lead to food losing more than just its moisture and it becomes largely un-edible. Drying the food for a time that’s longer than recommended in the recipe can lead to over dehydration. Food is exposed to heat for much more time than needed for its recipe and that can be a problem when you finally open the door of your dehydrator to see food that’s just not in the form you expected it to be. For every kind of food, you need to load it on the trays of the dehydrator in a proper manner. The food’s slices should not overlap and there should be enough space between the slices so that every piece gets equal amounts of hot air. In case the pieces are kept on the trays in a haphazard manner, it might lead to over-drying of the food. When it comes to dehydrating any kind of food, it’s best to follow the recipes and use the temperatures as mentioned by the manufacturer of your dehydrator. Here are a few ways to know if the food is over dehydrated. If you dehydrate food regularly, you will have a rough idea of how the food looks once it’s done dehydrating. If the look and shape of the food pieces doesn’t look as it is supposed to. If it looks too dark or too small, you might have over dehydrated it. You can take a piece of the food out of the dehydrator when you feel it’s dehydrated properly and taste it. If it doesn’t taste food or tastes burnt, there is a possibility that you might have dehydrated it. If the food smells like it’s burnt or if it has a different smell than usually dried food, there is a chance that you might have over dehydrated the food. Over dehydrated food pieces will be much smaller in size as compared to decently dehydrated food. Depending on the kind of food that you’re drying, the shape of the food might look much different than what the food looks when it’s dried properly. Over dehydrated food can be a bit of a problem. 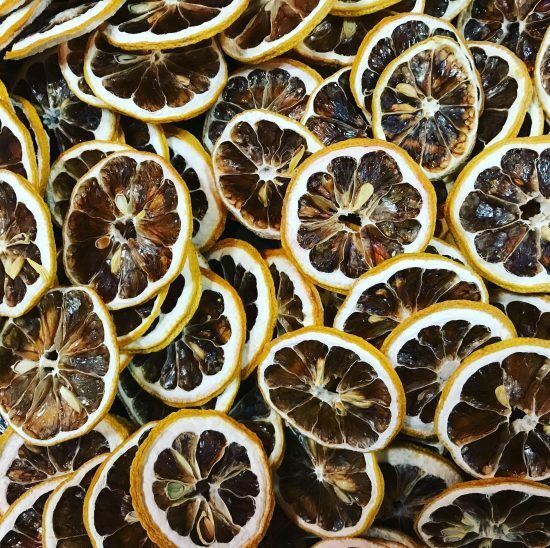 First, you might have a ruined batch on your hands and second, you might need to clean your dehydrator properly depending on the kind of food you’ve dehydrated. Here are some of the things you can do if you think you’ve over dehydrated your food. While most of the food might be over dehydrated, there might be some pieces of food that are still worth using. Pick and store these pieces away as you can use them with use your food after rehydration. Depending on the type of food you were drying, there might be residue stuck to the dehydrator and the dehydrator trays. Soak the trays overnight in a soap solution to clean them properly. Wipe the dehydrator’s insides with a cloth soaked in warm soapy water. Once your dehydrator is completely clean, try to cook another batch of food and this time dry it at a lower temperature or for a shorter time period. You can also try loading the dehydrator properly without any excessive food on any of the trays. Over dehydration of can happen while dehydrating if you leave the food in the dehydrator for too long or at a too high temperature. Here are some ways through which you can avoid over dehydration of food. Make it a point to follow the recipe of the food that you’re drying and make adjustments for the weather conditions in your location. Depending on the temperature, the food might take longer or shorter duration to dry. Keep a check on the food while it’s drying. Drying food for longer than needed can lead to over dehydration of food so make sure you follow the time recommended in the recipe you choose for drying the food. If needed, you can dry the food for some more time, but keep checking the food slices every now and then to see if they’ve dried up properly. Loading the dehydrator seems like a simple task, but if you keep the food pieces covering each other, they might not dry up properly. Then, in order to dry these food pieces, you might run the dehydrator for a bit longer and end up over drying the pieces. A timer is the most useful accessory that can help you from preventing over dehydrating your food. If your dehydrator has a timer feature, set it up for the time you want to dry the food. You can also buy a kitchen timer or use the timer feature on your smartphone to keep track of how much time has elapsed while dehydrating the food. There are certain foods that are more prone to dehydration because of the high temperature used to dry these. Here are some of these foods that you should be careful while dehydrating. Meat needs to be cooked and then dried because there are microbes and bacteria present in meat that need to be destroyed before the meat is put in the dehydrator. Jerky usually takes 4-6 hours for jerky to dry, but this time can also depend on how you slice your jerky pieces. Thinner pieces will take less time to dry, while thicker pieces will take longer to dry. Vegetables are often over dehydrated because looking at the outside of the vegetables, it’s difficult to tell if these are properly dried. The best approach would be to take a slice or two and try to break it, if it’s brittle and breaks easily, it means the vegetables are dried properly and you need to take them out and let them cool. Fruits have higher sugar content and these can often take a lot of time to dry up properly. The ideal way to dry fruits is to keep an eye on the progress of dehydration and do a taste and snap test every few hours to see how much the food has dehydrated. If you’re drying nuts and seeds, you need to keep in mind that these are already small in size so judging the progress of dehydration by looking at the size is often not a possibility. You will need to take a piece out of the dehydrator every few hours and check if it is properly dry. Users often have questions and queries regarding over dehydration of food. Here are some of the commonly asked questions asked by users. 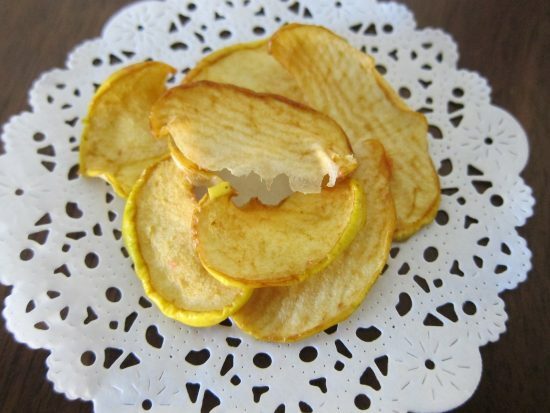 Q1) I was dehydrating apples, but the final result is small black pieces of apples that don’t taste too good. Is it possible that I’ve over dehydrated these? Ans. Yes. It’s very much possible if the apples don’t taste good then you might have kept them in the dehydrator for a much longer period than required. Dry apples should be pliable and bendy or crunchy, but they should not be black in color once done. Q2) I don’t have a timer on my dehydrator. What can I do to keep a check on the duration of the dehydration process? Ans. You can buy a kitchen timer for keeping a track of the dehydration of food. You can also use the timer feature on your smartphone to alert you when food has been in the dehydrator for the recommended time period of the recipe. Q3) I tried dehydrating strawberries but these are now stuck to the trays of my dehydrator because I over dried them. How can I clean my dehydrator trays? Ans. You can clean your dehydrator trays by soaking them in a sink full of hot water for the night. In the morning, use a small brush and running water to scrub away the pieces of dried strawberry. 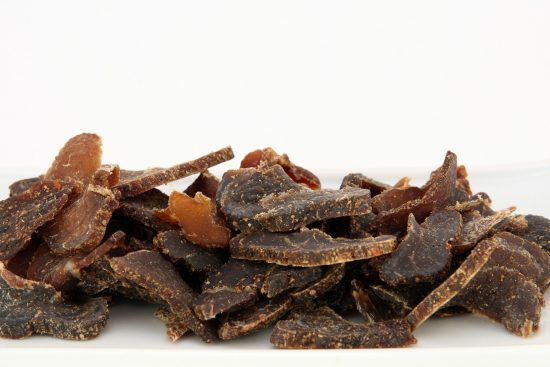 Q4) I dehydrated some jerky but I ended up over-dehydrating it. While most of it was a waste, I managed to save some. How can I rehydrate this jerky? Ans. You can dip the pieces of jerky in hot water for half an hour or so till it’s soft to touch and bendable. 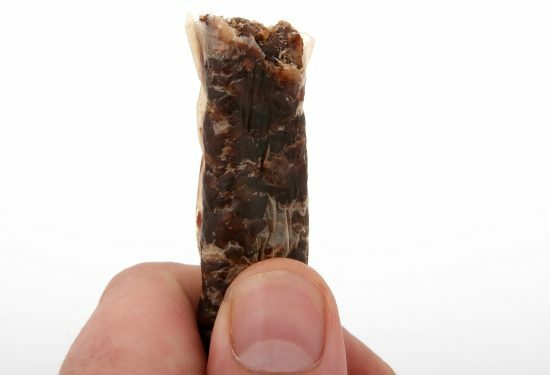 You can also use this jerky in a number of dishes that use dry jerky. Over dehydration of food, while rare, can happen with anyone who has been dehydrating food for some time. Maybe it’s a lapse in attention, equipment malfunction or a wrong understanding of the recipe, if you’ve also over-dehydrated your food, you can still salvage some of it and use it in your cooking. But most of all, you need to learn the things that you did wrong while dehydrating the food and prevent the same mistakes from happening again. Follow your recipes and load your dehydrator properly and you will never find yourself with over dehydrated food. For more information about dehydrators and dehydrating all kinds of foods, please browse through this website. You can also leave us a comment and our team will answer your query at the earliest. Do you have any idea for any articles about dehydration that you’d like to see on this website? Drop us a comment and our team will look into it. Happy dehydrating! Can You Use Parchment Paper in a Food Dehydrator? Can We Put Wax Paper in a Dehydrator? I am dehydrating strawberries for 1-2 hours but I have to go to bed, what do I do if i’m not sure if the timer works and i cant get up in the middle of the night? If you are using food dehydrator with timer then it will turnoff your dehydrator automatically. If not, then you have to turn off dehydrator manually. You can use the alarm to get noticed.